Bhubaneswar: TRB Iron Ore Mines of Jindal Steel and Power Ltd (JSPL) in Tensa of Sundergarh district was honoured with prestigious Kalinga Safety Award-2017. 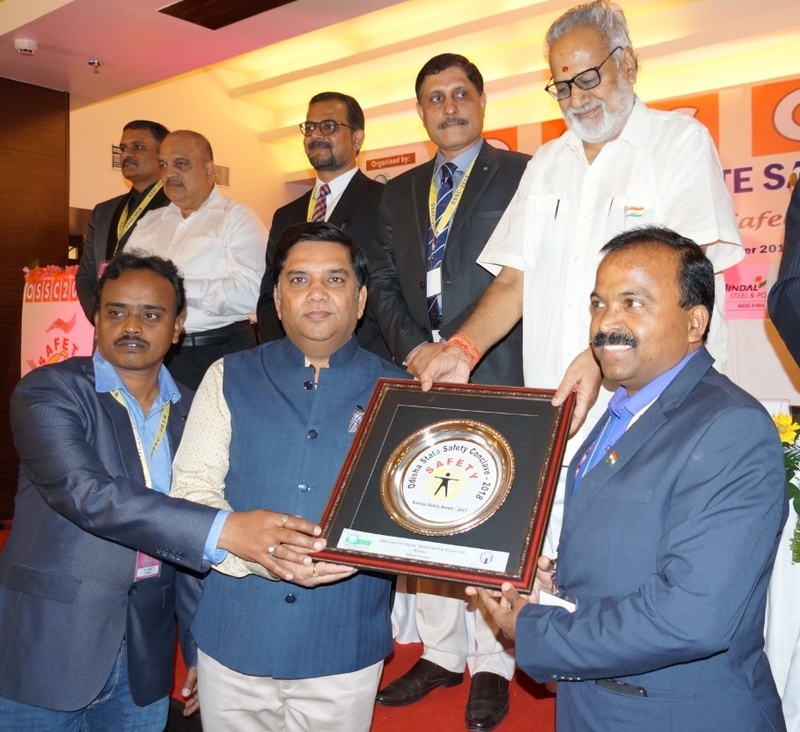 The award was conferred at the Odisha State Safety Conclave-2018 held here on Friday. The two-day event was organised by Institute of Quality & Environment Management Services (IQEMS). TRB Mines won the Silver award in Mines category. Mr. Ravi Kant Somani, Executive Vice President and Group Head (Occupational Health & Safety) and Mr. Pramod Kumar Patra, Vice President and Unit Head (TRB Mines) received the award from Governor of Odisha His Excellency Prof. Ganeshi Lal. Mr. Somani congratulated the TRB Iron Ore Mines team for this award and appreciated the team for taking safety initiatives and adopting best safety practices. “To be ranked among the safest companies in the State is remarkable. This award is a testament to the dedication of our team, and I thank them for the outstanding job they have done”, Mr. Somani said. This year, the mine has won a range of awards prior to the Kalinga Safety Award including Total Productive Maintenance (TPM) award from Japanese Institute of Plant Maintenance (JIPM) and Pollution Control Appreciation award from State Pollution Control Board. It is noteworthy that for the second time the mine has won this Kalinga Safety Award, first earning it in 2017.